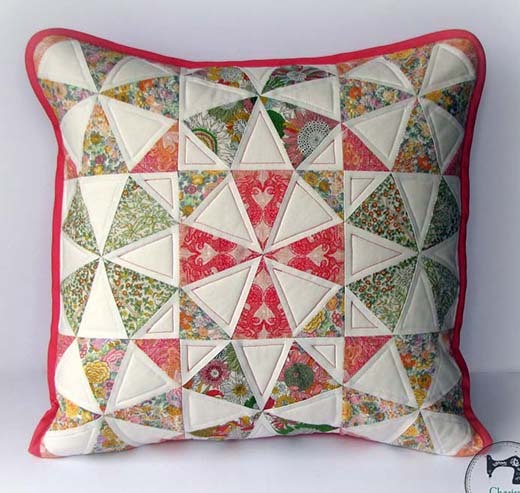 Paper-Peiced Spring Kaleidoscope Pillow was designed by Charise Randell of Charise Creates. This Pillow Quilt comes with a free pattern and templates, and features some beautiful Liberty prints. Have fun!